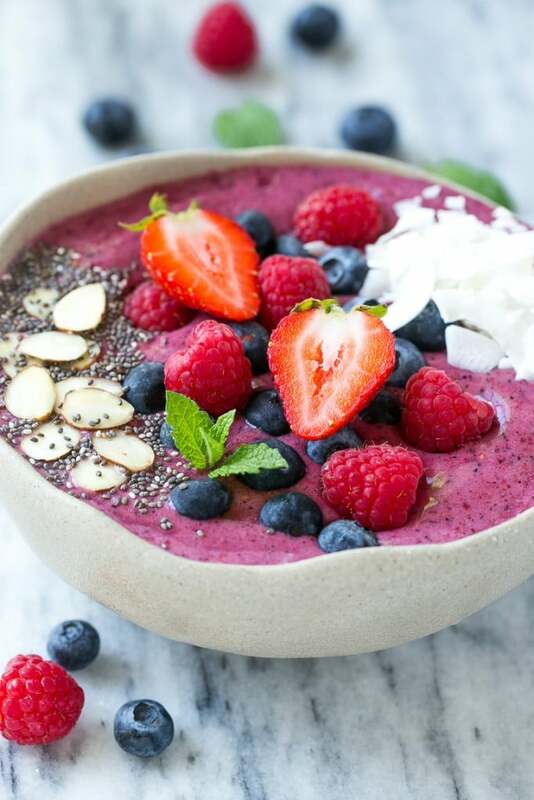 This acai bowl recipe is a smoothie made with fruit, acai berry puree and yogurt that’s served in a bowl and finished with a fun and colorful variety of toppings. The perfect healthier option for breakfast, lunch or snack time. 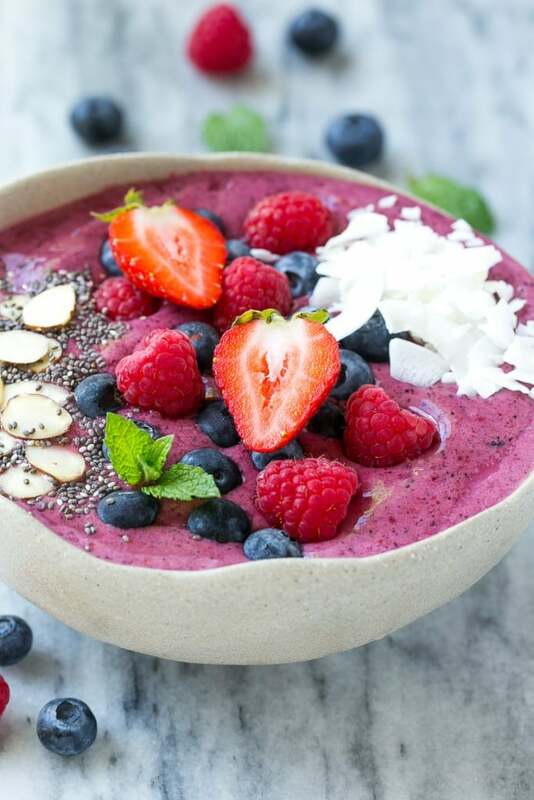 When I need a quick nutrition boost, I make a strawberry banana smoothie, mango smoothie, or this creamy and refreshing acai bowl. We are a family of smoothie lovers, and I decided to shake things up a bit by trying something a little different in the smoothie department. 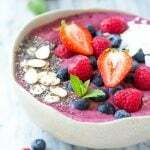 This acai bowl recipe combines a variety of nutritious foods to create a unique and colorful snack or breakfast that my kids can’t get enough of! The adults love these acai bowls too, how could anyone resist something so colorful?! An acai bowl is a blended mixture of acai berries and other fruits, served in a bowl and topped with a variety of fresh fruit, nuts and seeds. Acai berries a small fruit native to Central and South America and are considered a superfood because of their high antioxidant levels. They’re definitely becoming a trendy ingredient, there are acai smoothie bowl shops popping up everywhere in my town! You can find packets of acai berry puree in the freezer section of most grocery stores, either with the frozen fruit or the cans of frozen juice. Just break up your acai packet into pieces, toss it into the blender with the other ingredients and you’re ready to go! How do you make an acai bowl? These acai bowls are actually very quick and easy to make, and your family will never guess that they’re full of good-for-you foods! The recipe starts with a smoothie base. 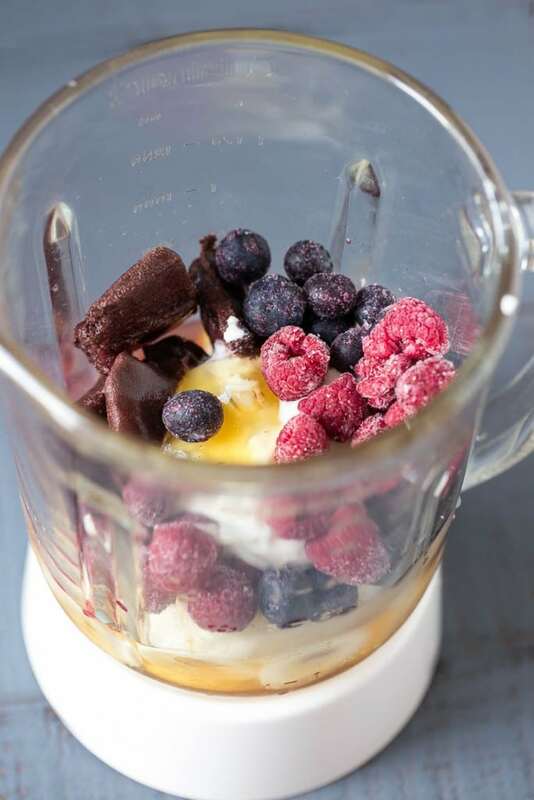 I used frozen banana, apple juice, vanilla yogurt, frozen berries and acai berry puree. What you end up with is a thick and creamy smoothie – you don’t even taste the acai, it marries nicely with the other fruit flavors. You want your acai smoothie to be on the thick side because you’re going to pour it into bowls and eat it with a spoon. I find that the texture of the acai bowls are best if served immediately. If you’re looking to make them in advance for meal prep purposes, you can blend up the fruit mixture and store it in small containers in the freezer. Let the acai mixture partially thaw, give it a stir and you’ll be ready to eat. If you’re looking to make this recipe vegan, you can use non dairy yogurt and agave or maple syrup instead of the honey. Not a berry fan? You can blend you acai with peaches, pineapple or mango if you prefer a different flavor. Acai bowls are full of nutrients such as antioxidants, fiber, protein and vitamins. That being said, fruit is naturally high in sugar and these acai bowls are primarily fruit based. To keep your acai bowls on the healthier side, you can use plain non fat yogurt instead of vanilla, omit the honey, and choose lower calorie toppings for your bowl. I make these acai bowls almost every week – it’s a great way to get that smoothie shop flavor at home. The topping possibilities are endless, my kids love to make their own acai creations for a fun snack. This post was originally sponsored by Honey Bunches of Oats. 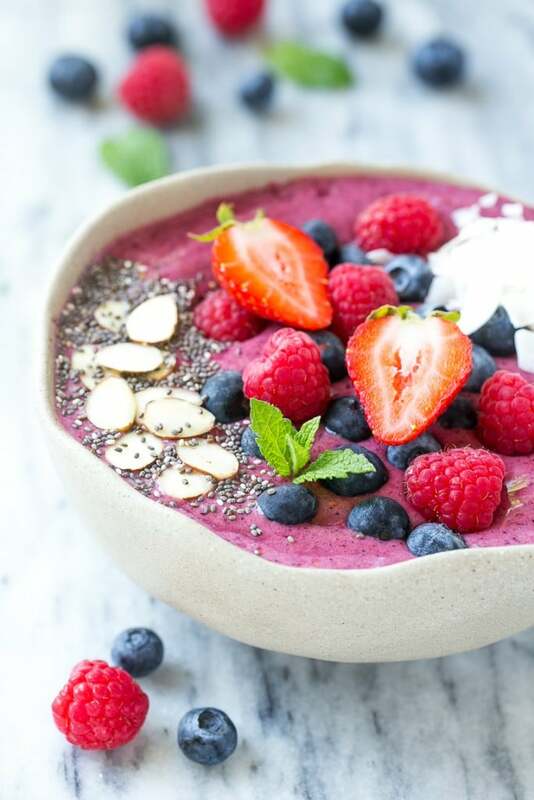 This recipe for an acai bowl is a smoothie made with fruit, acai berry puree and yogurt that's served in a bowl and finished with a fun and colorful variety of toppings. Assorted toppings such as sliced almonds, berries, shredded coconut, granola, chia seeds, sliced banana, mint sprigs, etc. 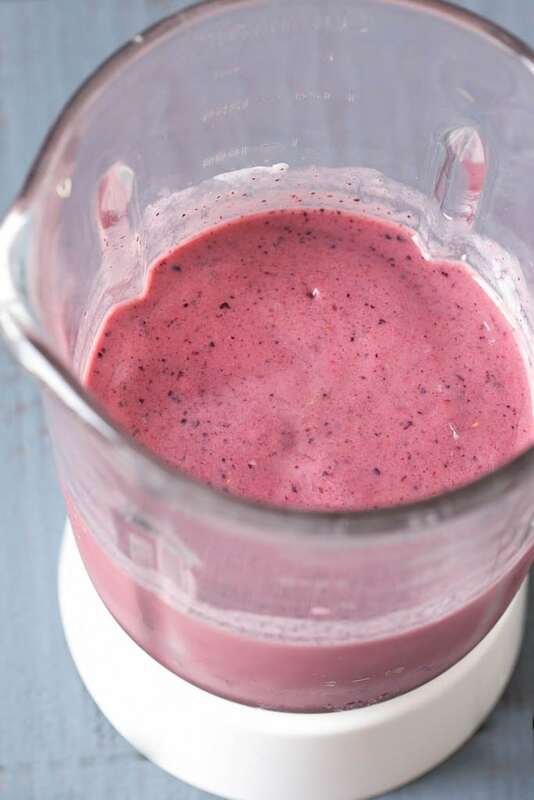 Place the apple juice, banana, frozen berries, yogurt, honey and acai puree in the blender. Blend until thoroughly combined and smooth. Pour the smoothie into 2 deep bowls. 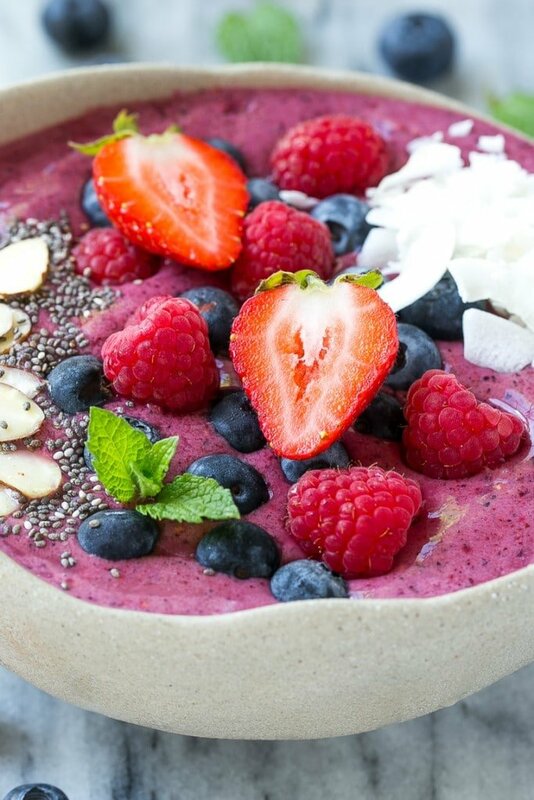 Arrange the desired toppings over your smoothie bowls and serve. I love this recipe!! So good!! I also love to put agave syrup on top and inside instead of honey. This is also a great smoothie for on the go! Best Acai I’ve had in a while!! Used the unsweetened Acai puree and it was plenty sweet! Tastes like it’s straight from a California smoothie shop 🙂 AMAZING! Making this again ASAP. 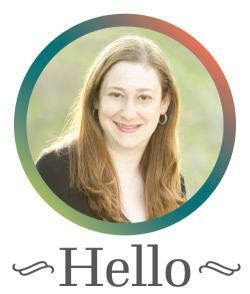 So happy you enjoyed it, thanks for reporting back! I just made mine for breakfast! So delicious!! Only thing I didn’t use was the honey. I topped mine off with fresh strawberries some sliced bananas, a spoonful of almond butter, a sprinkle of chia seeds and some granola. So yummmmm! Thank you! Love those toppings and so glad you enjoyed it! I’m having a hard time getting the consistency right… Could I be blending it for too long? Absolutely delicious, regardless! Is it too thin? You can try freezing the banana slices before you add them to the blender to help thicken it. I hope that helps! I noticed that none of the previous comments said they had actually made this recipe. I made this recipe and found it lightly creamy and very sweet, even having omitted the honey because the apple juice is really sweet to begin with, not to mention banana, also. Additionally, the yogurt I used was the Trader Joes Vanilla, not Greek Yogurt so there would be more sweetness. I figured I could drizzle the honey on top if I needed more sweetness, but didn’t. It was delicious and I would make it again! 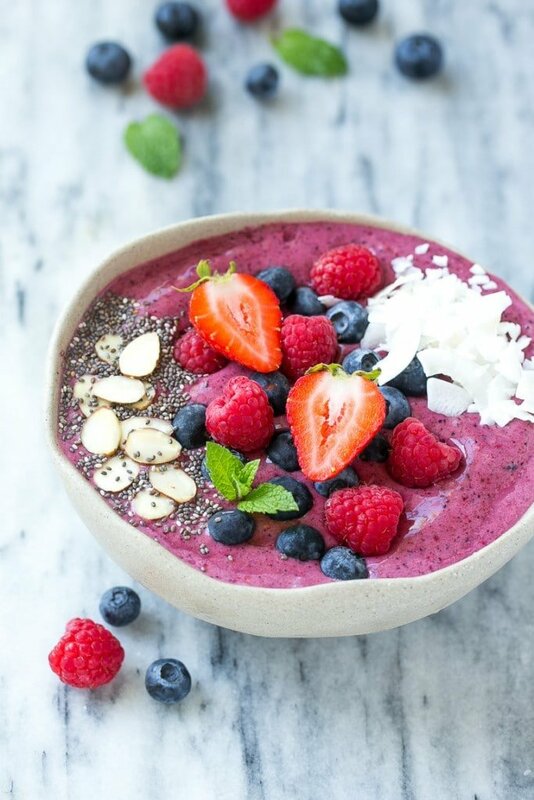 This bowl looks so pretty and delicious! That looks so refreshing and tasty. It would make a great breakfast! I’m a honey nut fan so this looks like something my family would enjoy! Going to try these for breakfast! Gorgeous! Love the vibrant colors and ingredients, totally my kind of breakfast! My kids would also eat cereal for every meal of the day if I let them. I’ve never thought to top smoothie bowls with a bit of cereal, too. They would love that! Those colors are gorgeous! I have never tried acai, I probably should. You mentioned not being able to taste it, is it not something very pleasant tasting? I could totally see this in my morning routine 😀 Love the colors and flavors!